Here is a list of the top 10 gardening tools you should have in your shed. 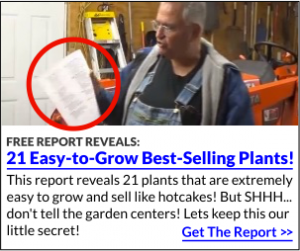 Hand trowels are a gardening staple. They can be used to dig holes, transplant seedlings, pull weeds and plant bulbs. All gardens require water. Whether you are using your hose for drip irrigation or just attaching a soaker nozzle, a hose is a gardening must! Pruning shears are needed for clipping and trimming and doing all the things that an ordinary pair of scissors could never handle. 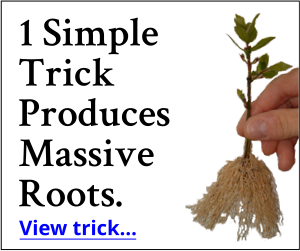 I cannot imagine up-rooting a small tree or shrub without a large spade. I am always surprised how strong those roots hold onto the ground! Cultivators come in different designs but their use is basically the same. They are used to loosen the soil. This helps with aeration, weed pulling and preparing your soil for planting. A bucket makes a handy caddy to carry all your gardening tools. You can throw weeds in it, carry soil or small plants, and collect fruits and vegetables. You can tip it over and use it as a stool. Its uses are endless. Gardening gloves are not just for the dainty. Bare-handed gardening can lead to dry cracked hands, broken nails, splinters and infected cuts. Gloves make working with thorny plants and thistle a whole lot easier and can protect your hands from insect bites. Besides, who likes digging and scrubbing at fingernails caked with dirt? A garden hoe is a useful tool for chopping at weeds, breaking up top soil and digging shallow trenches. Let’s face it. We’re not getting any younger. Kneeling down can be brutal on our knees and wet, muddy spots on our pants are no fun. A kneeling pad will keep out knees cushioned and clean. Don’t have a pad? A folded up towel will work in pinch. It is also very important to take care of your garden tools. Click here for some great tips on maintaining your favorite garden tools. Check Out My Billy Goat Outback Brush Cutter! Mike, here in Florida I use garden clogs or flip flops for my knee pads. Just wear them to the garden and plop them under your knees for knee pads. Put them back on when you head to the house and you won’t have to worry about where you last put your knee pads!